This package takes all the ground-breaking innovations of the Can-Am® Maverick™ and optimizes them for pure-sport performance on the trail. At 60 inches, it's narrower than other vehicles in the Maverick™ lineup. It also includes Tri-Mode Dynamic Power Steering (DPS), Visco-Lok QE auto-locking front differential and, beadlock wheels. 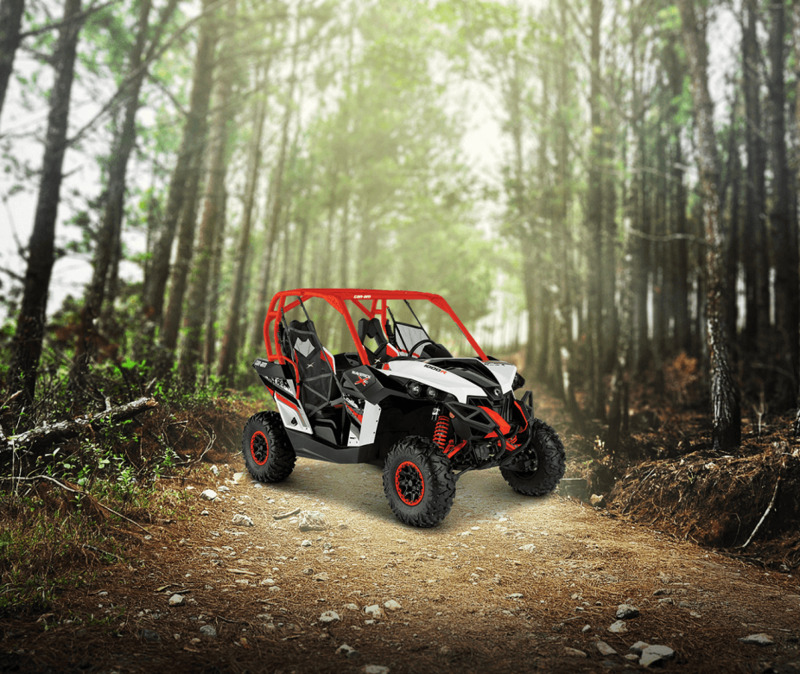 The trail will often prove to be a difficult test, and the Maverick™ X® xc DPS™ is built to take it on.